In the age of social media, misinformation spreads quickly, but proactive outreach can neutralize its effects. Bee-killing flowers treated with neonicotinoids. Unsafe, GMO-tainted food. An illegal workforce that burdens public resources while also stealing jobs. In 1710, the Anglo-Irish satirist Jonathan Swift wrote, “Falsehood flies, and the truth comes limping after it.” But Swift never had to contend with the Internet age, where questionable information can circumscribe the globe in the blink of an eye. He has seen the negative effects on the nursery industry firsthand. 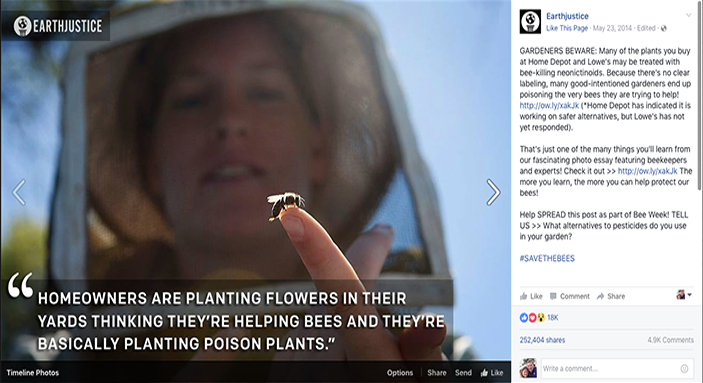 The company applied the chemical after dark, when bees weren’t flying. They coordinated with a neighboring beekeeper to make sure the insects weren’t harmed. 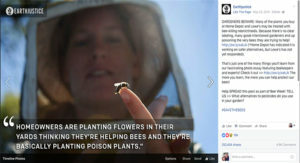 And they read research indicating that while neonics may contribute to bee deaths, the current science strongly suggests other causes at play, such as hive movement, lack of forage and the Varroa mite. Fear is the number one culprit that Ali Noorani confronts on a daily basis. The American-born son of Pakistani parents, Noorani serves as executive director of the National Immigration Forum in Washington D.C., an advocacy organization for the important role immigrants play in the American economy. As with the use of pesticides, the role of immigrants in communities and the economy is more complex than can be captured in 140 characters. That’s why Noorani wrote a new book, There Goes the Neighborhood: How Communities Overcome Prejudice and Meet the Challenge of American Immigration, which will be published this month. It’s commonly held by some that farm workers, if Hispanic, came to the United States illegally and are likely being paid under the table. They are often portrayed as violent criminals. Studies indicate that the born-here population is actually more likely to offend, but emotion often gets in the way of delivering the message. Noorani is best known for pulling together unlikely coalitions, including the Bibles, Badges and Business for Immigration Reform network, which combines faith, law enforcement and employers. The coalition has advocated for solutions that are compassionate, respect the rule of law and help grow the economy. Turning down the volume on Internet posts, as well as responses, can help. Listening is vital. Karen Reardon serves as the vice president for public affairs at RISE (Responsible Industry for a Sound Environment). RISE created a consumer-facing website called www.DebugTheMyths.com, which provides information on pesticides as well as fertilizers. “We are simply making sure we occupy all the spaces we can in the conversation,” she said. RISE worked with the OAN to create a palm card that’s available to OAN members for distribution to their retail or wholesale customers. It provides basic facts on neonicotinoids. The organization also uses blogging and social media to provide factual information in plain language. Like Noorani, Reardon has created innovative partnerships to help spread positive and factual information. A recent example came on last year, when fear of the mosquito-borne Zika virus was spreading. “There was enormous interest in clear information about pesticides,” she said. Reardon knew that merely tapping into industry audiences she’d already cultivated wouldn’t allow her to reach the people she needed to reach. So, she began outreach to parenting blogs. Reardon sees great value in social media as a tool, even though it can be a double-edged sword. It’s an issue that Craig Regelbrugge follows closely in his role as vice president of AmericanHort, the national green industry association. He said that while nurseries don’t currently make extensive use of GMOs, they might in the future. Why do GMOs matter in this? It makes sense for nurseries to take a proactive role in the discussion. The principle holds true whether you are talking about pesticides, immigration, breeding or any other issue that might acquire a negative perception. Regelbrugge recalled being asked by a friend to talk to a Tea Party group about immigration. He agreed as a favor. and instincts. It is not a majority, but it’s been enough. “The majority of people are supportive of reform, but they’re apprehensive about the details and they will never light the phones up,” he said. His solution is to engage people in the great middle. That’s where the solutions are.